With over 30 years experience and real focus on customer satisfaction, you can rely on us for your next kitchen renovation. Customers finding us on the web saves us dollars, because our website is the most cost-effective way to find customers. Therefore, we are passing the savings on to you. The owner of Kitchen Options of New England, Ray Lentine, has been responsible for the sale and or installation of over 7600 kitchens. Our finish carpenters are the best in the business and customer satisfaction is always our top priority. 100 different door styles/colors are brought into the light of your own kitchen. The highest quality cabinet doors have soft close hinges. All drawers are hardrock maple with dovetail corners and soft close guides. Granite from all over the world, four different grades of quartz and Wilsonart laminate. All will be seen in the light of your own home..
An exciting mix of innovation, style and functionality to meet the demands of every kitchen, bathroom and bar in your home. We provide professional kitchen / bathroom renovations and installation services with real focus on customer satisfaction. 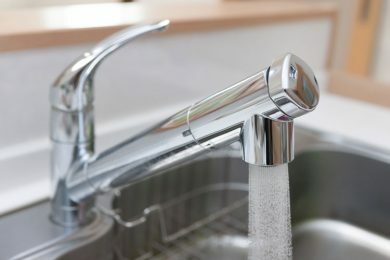 Our installers are responsible for installing five kitchens / bathrooms per week. Their experience is unparalleled in this industry, and they are the reason why we are # 1. 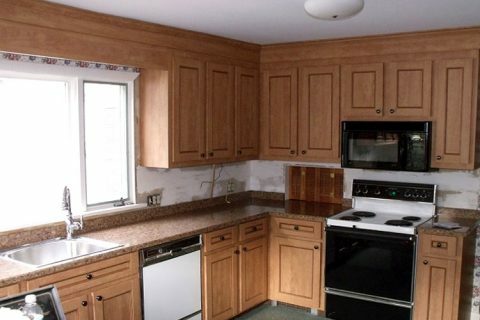 The Kitchen Options Corporation is the largest independent refacing company in the Northeast. The President, Ray Lentine, has been in the home improvement industry since 1986. We have representatives throughout Massachusetts, Rhode Island, Connecticut and Southern New Hampshire, with offices in Oxford, Massachusetts, Warwick, Rhode Island and Somers, Connecticut. Being that we are a refacing company, there is no showroom. Our showroom is your home. 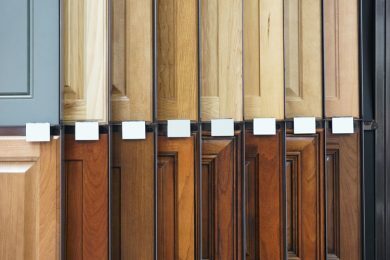 When we come to your home we bring over 100 different door styles, colors and wood grains. 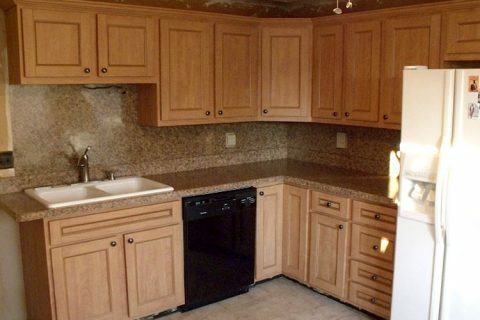 You will be able to view your countertop options in the light of your own kitchen. 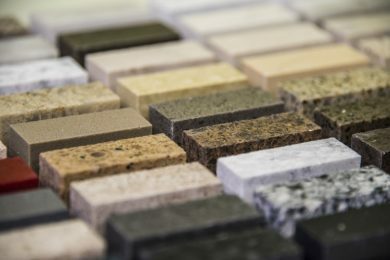 They include quartz, granite and everything Wilsonart Laminate has to offer. Bathroom vanity countertops can be made of cultured marble or granite, to where the sink and the counter are seamless one-piece. No company can sell you the quality of products and services for the same price as Kitchen Options. If another company gives you a written detailed quote, as does Kitchen Options, for the same quality products as Kitchen Options provides for less than our detailed quote, we will match that price and still supply the Kitchen Options’ quality products and services. All of our PFL doors are guaranteed for as long as the person on the contract owns the home. If anything happens to a door or drawer front, it will be replaced at no charge. All labor is guaranteed for two years and all of the other materials are guaranteed for 5 years. Wooden doors have a lifetime structural guarantee. With over 30 years of experience and regarded as one of the Nation’s top authorities on kitchens and kitchen design, Ray Lentine hosted his own radio call-in format radio program: “The Business of Owning a Home.” That expertise is transferred to all of the finish carpenters that work for Kitchen Options. Customer satisfaction is important to all of the Kitchen Options’ employees, sub-contractors, plumbers, electricians and finish carpenters. "We just wanted to let you know how wonderful our kitchen looks. Thanks to Chip & Joan, they went above and beyond to make our kitchen look brand new. We can’t praise them enough and we wanted you to know how great they are. They put in long hard hours and we really appreciate what they did. Chip & Joan are certainly an asset to your company." "Laurie and I are thrilled with our new kitchen. 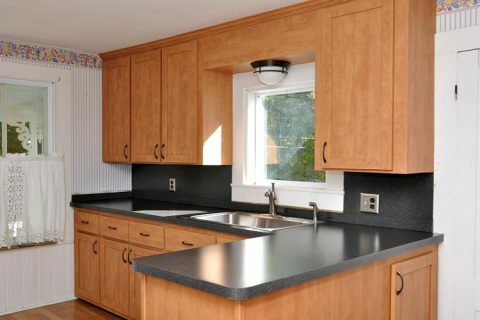 Everything about the process, from our initial exposure to Kitchen Options at the URI Home Show, to working with you to choose the “new look,” to the skillful professionalism of Guy and his helpers fulfilled our deepest expectations. We couldn’t be happier." "What a great experience from beginning to end. First, Jack came to our home and made helpful suggestions for our kitchen update. All the contractors were professional, personable, arrived on time and cleaned up after they completed their part of the update. Thank you so very much, we love our kitchen update and would highly recommend your company"
"The job started on scheduled start date. Guy and Johnny were well prepared, very pleasant, explained the procedure before, during and after work and answered all questions. Our kitchen looks amazing. Would highly recommend them." "People who now walk into our kitchen are awe struck. Even Cal’s childhood friend, who usually has something negative to say about everything, was speechless. Your installers, Wow, we can’t say enough. Their diligence and perfection shows everywhere we look. And for you Russ, we thank you for all the hours spent working with us as we decided on the colors and materials. Your input was invaluable." Kitchen Options of New England has established itself as the largest refacing company in New England.